Latest Update: 28th Aug, 4.30pm. I’m planning a gathering for all you coffee lovers in Malaysia, or specifically those in Klang Valley. Not being bias to those in Penang, Sibu etc… but hey, I can’t really plan one in Penang yet, ok.
Time maybe around 9.00 to 9.30pm. Place: Likely to be Segafredo in Sunway Pyramid. So all you guys who are interested, email me with you contact, ok. This entry was posted in Malaysia on August 27, 2008 by KF Chan. Yesterday I taste one of the worse cappuccino at Black Canyon Coffee House. And Today I saw another scary looking cappuccino… lucky I didn’t waste money to taste it. Passed by Hoca Coffee Specialist today in KLCC. Hoca used to have coffee that was quite fresh, usually about a month from roasting. But the last 2 times I was there, my tongue got burnt by those super hot cappuccino. I suggest to the staff there to use a thermometer lah, if you cannot estimate with bare hands. Apparently they never listened. I stood at the counter there and observe one of the barista doing a cappuccino. Then, I finally understood why my tongue got burnt last time. They just hold the milk picther at the handle and froth all the way until the scary looking soap-bubble foam rise to the edge of the pitcher. He totally did not touch the side of the pitcher the check the temperature. So, they use neither a thermometer nor their hands to check for correct temperature. 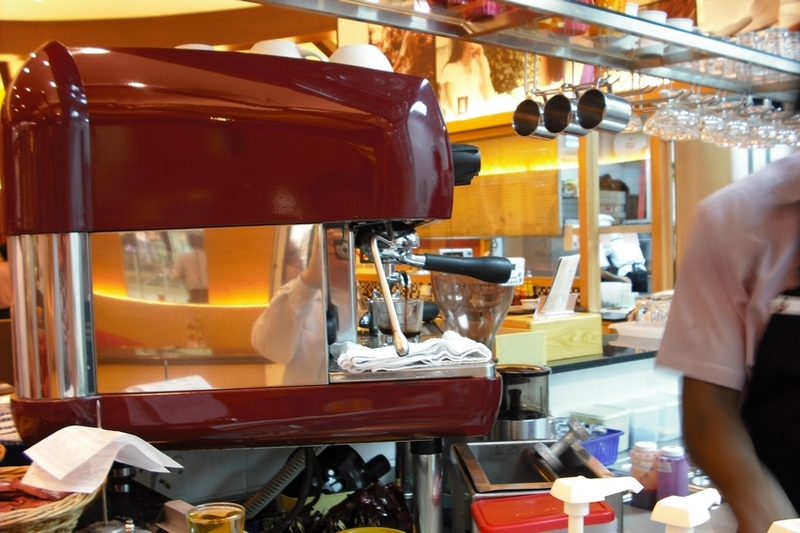 Good coffee and cafe in Malaysia is heading to extinction I think. 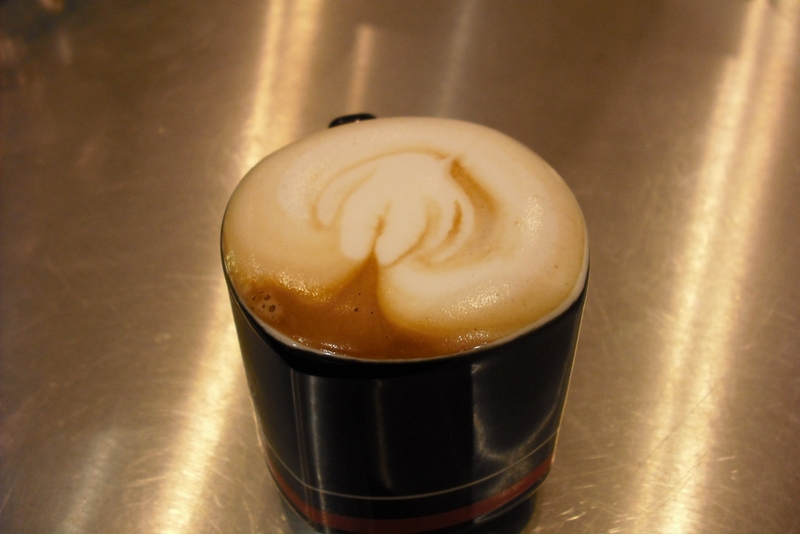 This entry was posted in Barista, Cafe, Cappuccino, Coffee, Hoca, Malaysia on August 16, 2008 by KF Chan. I happened to be in Aeon/Jaya Jusco Shopping mall in Klang, Bukit Tinggi. Went to have lunch at Black Canyon Coffee House. The write-up and marketing materials on their coffee looks quite impressive. 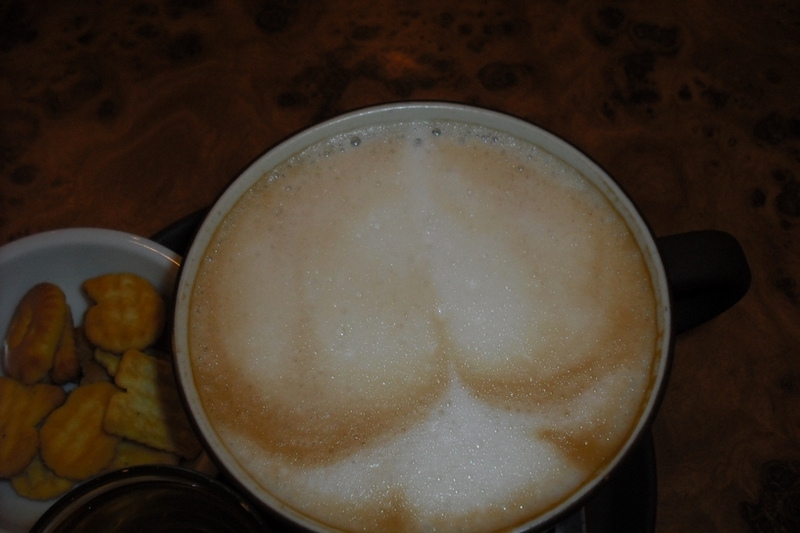 So I ordered a cappuccino. Wow! Let me tell you… everything that can go wrong in making a cappuccino went horribly wrong. First, the barista poured out some milk to froth. Guess what.. they use Nestle UHT milk #@$@^@. How cheap you wanna go? I know fresh milk (pasturised and homogenised) is getting more and more expensive. Even Starbucks uses one of those cheap milk, but to use UHT is really pushing. Then I thought, hey maybe a nicely frothed UHT can still taste nice leh. But alas, this barista know nothing about frothing milk. Ok, next we took a tiny packet of coffee beans. When I say tiny, they are really tiny. They use specifically packed coffee beans of 14g in weight. Wow! Following the standards of making a double espresso, eh. Unfortunately, when you weight in exactly 14g of coffee into the grinder, you will not get 14g of coffee in output. At least 1 gram or two are wasted in the chute of the grinder. What I got was a horrible 10 to 13 seconds extration of scary looking espresso DEVOID of crema. Here’s how a double shots cappuccino looks like. This entry was posted in Black Canyon, Cafe, Cappuccino, Coffee, espresso, Malaysia on August 16, 2008 by KF Chan. 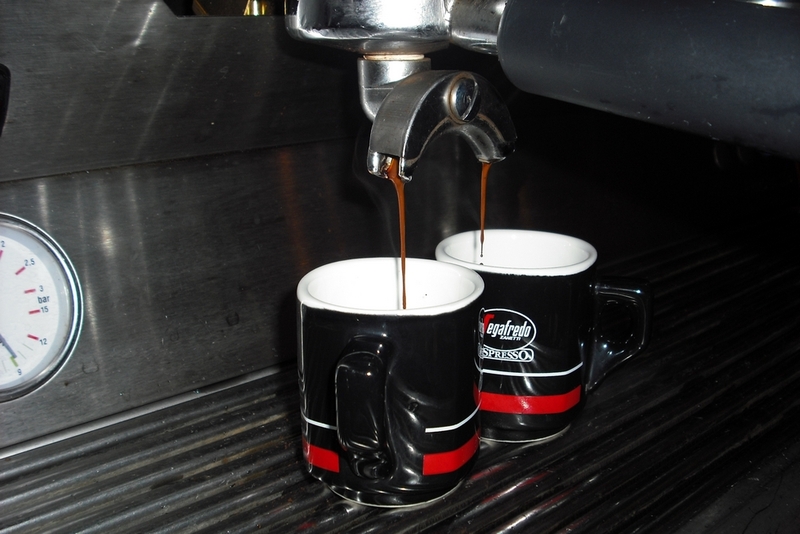 The three popular Italian brands of coffee known to the general public in Malaysia are Illy, Lavazza and Segafredo Zanetti. As far as I know, only Illy and Segafredo has specialty outlet. Most of the time, I’m not really impressed by all these brand names.. mostly because of the issue of freshness. One of the most important criteria when appreciating coffee is their freshness, meaning how many weeks from roasting. And most of these branded names never put the roasting date on their bags. They only put expiry date, which to me means nothing. But many of these Italian giants in the coffee industry does put a lots of effort in their research. So their coffee blend tend to be more forgiving, producing average decent brew even though lack of freshness. I always hope that in their specialty outlet, with higher traffic and better quality control… a decent cup can be found. 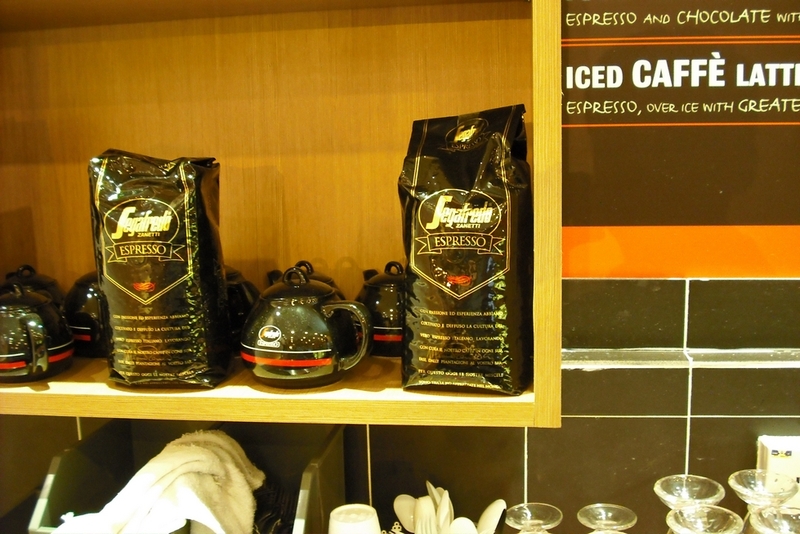 Paramount Espresso Sdn Bhd is the Malaysian franchisee of Segafredo Zanetti Espresso. 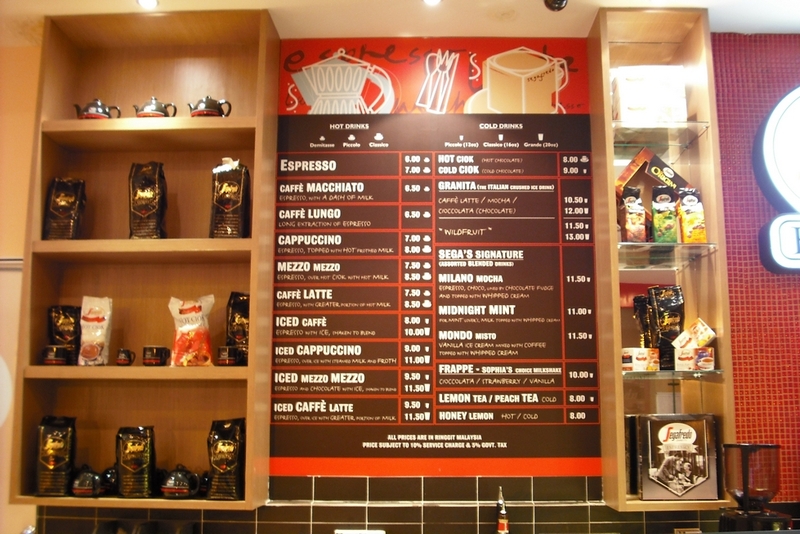 Drop by to the Segafredo Zanetti Espresso outlet in Sunway Pyramid last night with my wife. I think it is their only specialty outlet in Kuala Lumpur. If not mistaken, they had another 3 or 4 outlet in Penang. It is in Bistro style… they had liquer license. So if you like alcohol based coffee drinks or coffee based alcoholic drinks, there are plenty to choose from. But I’m there for their coffee, as plain as can be. Firstly, I had a chat with their manager, Mr. Jimmy. He was friendly and very willing to explain how they maintain their quality and standards. They do not put huge amount of coffee in the grinder’s hopper. I saw only a few shots worth of pre-grind coffee in the grinder. I would have prefer them to practice “grind to order” but it is way better than most cafe already. Many a times, when I visit any cafe I just take a glance at their grinder and it is enough to put me off. Especially those places with low traffic, and I see lots of pre-ground coffee in the grinder. Yucks… you really don’t know how long those coffee were left to oxidize. They use their own special blend of coffee for their outlet and it is not available anywhere. Meaning you can only it in their own specialty outlet. Jimmy prepared the espresso. It was a decent pour but blonding at the end of the shots. Surprisingly (I know, I know.. it always surprises me) it was a pretty decent shot. No bitterness, nice roasted smell and no bad after-taste. My wife likes it. Me too, but I would have prefer more complexity in my espresso. Comparing available espressos in the market, it is definitely the better ones. Another barista, Martin made us the cappuccino. Used Magnolia fresh milk. Decently frothed with decent microfoam. Never mind about latte-art but microfoam is what you should look for. Good body and taste of coffee was quite balanced. But I find it lack sweetness, could be the milk. I never really like Magnolia. Jimmy says he may experiment with Goodday or Farmhouse. It was an overall lovely visit. 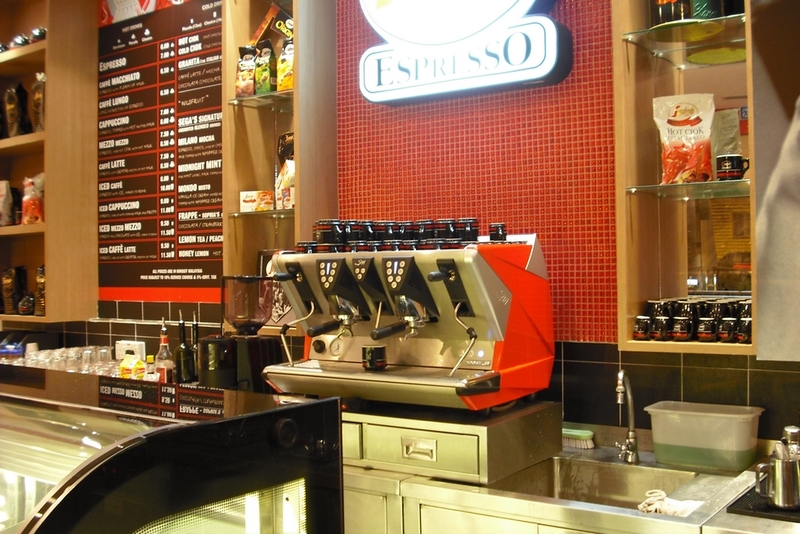 If I’m in Sunway Pyramid, Segafredo is where I’m going for coffee. The location is not easy to find because it is not on the inside the building but at the side lane leading to the Theme Park. At the new wing, if you know where is Starbucks or JCo, next to them is one of the exit/entrance of Sunway Pyramid. Walk out, turn right, walk to the end about 30m and turn right again and you will find it. This entry was posted in Cafe, Cappuccino, Coffee, Coffee Beans, espresso, Malaysia, Segafredo Zanetti Espresso on August 3, 2008 by KF Chan.